Apparently, MartinLogan’s Unison wireless preamplifier was designed with Simplifi readers in mind -- it offers Wi-Fi, TosLink digital, and analog inputs and outputs, a 12V trigger, and an Ethernet connection. You can use the Unison with DTS Play-Fi or Apple AirPlay to set up a whole-house streaming system. And the Unison includes Anthem Room Correction (ARC) -- essentially the same version of ARC used in Anthem’s own flagship products. Add it all up and combine it with MartinLogan’s stellar reputation, and you have a product that probably goes for several thousand bucks, right? Nope. The Unison costs $399.95. The astute among you are probably now scratching your heads, thinking, Wait just a minute here, Wes. MartinLogan makes speakers -- and they cost as much as $80,000/pair! True. 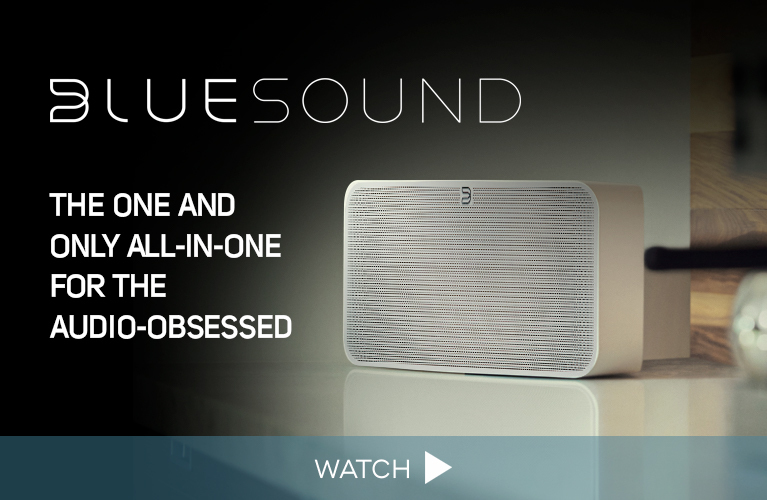 But ML has now branched out into the lucrative wireless marketplace with two speakers, three soundbars, four subwoofers, the Unison preamp, and the essentially identical Forte integrated amp. That means that, within their current product line, you can get a complete and essentially wireless (except for those pesky power cords) all-MartinLogan system capable of operating as a whole-house rig. The Unison is made of lightweight, dark-gray plastic, measures 7.95”W x 3.35”H x 7.95”D, and weighs just 1.5 pounds. It looks attractive enough, but it’s clear that ML has spent their design budget on things that go bump rather than the textural pleasure of hefting a 50-pound slug of stainless steel and silicon. The front panel has no knobs or headphone jack: just five buttons and a light. From left to right, those buttons control Input, Mute/ARC, Volume Up, Volume Down, and On/Off/Reboot/Factory Reset. The light indicates Wi-Fi. Around back are the aforementioned inputs and outputs, two USB ports for factory use only, and a DC power jack -- yes, the Unison is powered by a wall wart. A small percentage of marketing mangers in the audio business engage in hyperbole; an even smaller percentage will openly offer you their personal twists on the truth. Since I seemed to have found a marketing manager who considers honesty a good policy, I asked him a few more questions. Wes Marshall: Why did MartinLogan decide to get into electronics? Devin Zell: With the growing popularity of audio streaming and plenty of high-resolution content, providing high-quality electronics that wirelessly interface between MartinLogan speakers and the listener seemed like a natural evolution of our product line. WM: Is there any limitation on the ARC system in the Unison vs., say, the Anthem D2v 3D? DZ: There are no significant limitations on the ARC system used in the Unison or the Forte compared to what you find in the Anthem D2v processor. WM: What do you consider to be the most exciting opportunities with the Unison or Forte? DZ: Both devices offer an ideal solution for powering two-channel systems where a minimalist approach is desired. You only need active speakers and a Unison, or passives and a Forte. Adding multiple Unisons or Fortes into a home with custom-installation speakers or minimalist bookshelf speakers allows for an easy to use, multi-zone speaker system where every room of a home is easily controlled from a single smartphone or tablet. With the addition of industry-leading Anthem Room Correction technology, in only a few minutes, acoustically challenging rooms, like even bathrooms, are easily sounding their best. Also, this is a smaller audience, but important to those who need it. 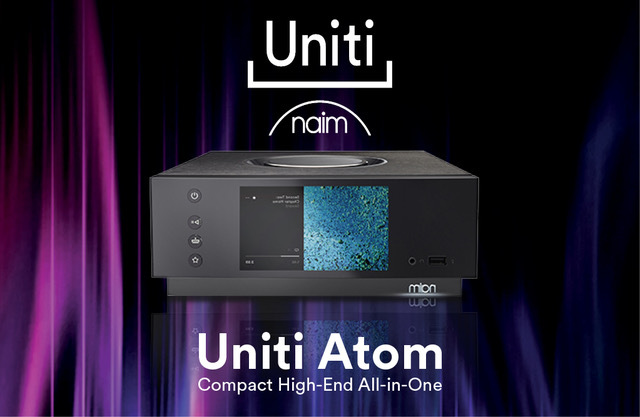 The Unison preamplifier allows for the integration of audio streaming into applications where powered speakers aren’t used. For example, integrating high-resolution streaming into a home theater system or providing a wirelessly controlled source signal to a 70V amplifier used in an outdoor speaker installation. WM: Give us a peek at how MartinLogan products will compete in the future. DZ: We believe we are providing high-quality audio with as few wires as possible by offering powered wireless speakers, soundbars, an integrated amplifier, and the Unison preamplifier. For our wireless speakers, all you need is a power cord and a Wi-Fi connection and you can have a high-performance audio experience. All wireless products, including ours, should be able to work with different applications and incorporate a variety of wireless streaming technologies for maximum compatibility with Android, iOS, and Windows devices. We should all expect good room correction technology and be able to integrate a subwoofer. I think I can modestly say we are there. I haven’t reviewed any MartinLogan speakers, so I don’t know how they’d fit into a Simplifi system. But I can speak about the Unison’s excellent sound quality. Which brings me back to Anthem Room Correction. I hate midbass boom, and I’ve never heard a system that completely negates it. If you’re worried that using something like ARC might cause some pollution in your unsullied music signal, you’re barking up the wrong tree -- even those of you who’ve spent tens of thousands of dollars on room treatments, or $100 each on devices to lift your $10,000 speaker cables an inch off the floor. I’m not making fun of you -- I feel your pain. I, too, have spent ridiculous amounts of money on products that don’t work. I once had a Fiat! Anyway, the effects of all those tweaks combined won’t come close to the assistance you can get from ten minutes spent with an ace room-correction system. And as far as I know of the current state of the art, ARC provides the least expensive route to audio nirvana. Roon fanatics (count me in) and Amarra users also have systems built into their products. In Roon’s case, the cost is bupkes -- just a microphone -- but the Amarra system costs an additional $450. JRiver Media Center has several ways to provide room correction, perhaps the best being a drop-in via convolution from Juice Hifi’s Audiolense or Dirac Live. By the time you measure the cost of several years of licensing for a media player, along with the additional cost of the necessary microphones, the Unison is a big bargain. By the way, both JRiver and Roon have just offered substantial upgrades that are nicely pushing along the state of the art. If you’ve been waiting to make the move from iTunes to something that sounds better, now is a good time. Of course, JRiver, Roon, and Amarra offer far more than just room correction -- but many of us already own media players and simply need a way to get one of the more popular programs inserted our systems. I had both the Forte and the Unison on hand for this review, but as I have only active speakers, I couldn’t really use the Forte. A couple of problems arose during installation. I use balanced cables throughout my system, and the Unison has only unbalanced digital and analog inputs. I have quite a few good-quality balanced-to-unbalanced (XLR-to-RCA) adapters, but it was a tetch difficult to fit two of these side by side into the RCA jacks on the Unison’s rear panel. So plan to use unbalanced interconnects terminated in RCA plugs. The other problem was that the Wi-Fi connection would take 5-30 seconds to sync with the Unison. That done, everything worked smoothly. I’m relatively certain that problem would disappear if you used the wired Ethernet connection. One other thing bothered me. Regarding the use of subwoofers with the Unison, its owner’s manual states: “If you are already using the RCA Analog Outputs to connect the Unison to an amplifier or other device, you will need to utilize RCA ‘Y cables’ to split the output.” I’m very satisfied with the low-end sound of my current fave speakers, the Barefoot Footprint01, and so don’t currently use a subwoofer. When JL Audio comes out with a 7” cube that costs less than $400 and can go down to 16Hz at 120dB with less than 0.01% total harmonic distortion, then I’ll get a bit more interested. But a Y adapter? Really? The Unison deserves better. Once the Unison was installed in my system, setup was sooo simple. I used an iPhone for setup, which took just a few minutes of easy simplicity. I had to make a few changes in my media players to make sure they found the Unison’s Play-Fi output. That done, it was time for music. This review coincided with my finally having time to listen to the 5.5 hours of the Grateful Dead’s Robert F. Kennedy Stadium, Washington, D.C., July 12 & 13, 1989 (16-bit/44.1kHz WAV, Rhino/dead.net). The first of several jaw-dropping moments occurred on track 2, “The New Minglewood Blues.” Jerry Garcia rips one of his hardest-rocking solos in the Dead canon as Brent Midland plays a synth solo that rocks even harder. Both instruments displayed a scratchy timbre that opened up nicely through my ARC-adjusted system. In fact, when “Drums” slid in after “Eyes of the World,” there was even some air around the instruments. A minute into “Drums,” Mickey Hart pounds his timpani with hard mallets, and even dusts off the Beam to make a sound as if you’re being hurled into deep space. It all came clearly through the Unison. ML’s Unison preamp had the clarity I’ve come to expect from the best systems, and ARC seemed to me better than ever. Subtle details of instruments’ sounds were better integrated, my room’s midbass boom was gone, and the precision of the placement of instruments and voices on the soundstage was no longer limited by the room. Harmonia Mundi recently granted me access to Ravel’s Ma Mère L’Oye, aka the Mother Goose Suite (16/44.1 WAV). Where have I been? I’d never heard of the orchestra, Les Siècles, or the conductor, François-Xavier Roth. I assure you I will soon know much more about both. Les Siècles is a Parisian orchestra of players who perform on period instruments because they believe in using the type of instruments played in the era of a composition’s creation. All I can say is that this version jumps to the top of my collection, neatly joining the ranks of recordings by Skrowaczewski, Abbado, Ansermet, and Boulez. The clarity of sound, spatial cues, and crispness of attack were all substantially improved by the Unison with ARC. When I compared this recording’s sound without ARC, I slightly preferred it through the Oppo HA-1 DAC-preamp-headphone amp. With ARC, there was no comparison. One minute into The Entrance of Beauty and the Beast, the contrabassoon sounded utterly real, and being played in an actual space. By track 12, Apotheosis: The Fairy Garden, the orchestra and its recording were demonstrating almost limitless power, with the utmost perfection of attack and ensemble unity. Wow! Streaming from Tidal was faultless. Frank Sinatra’s In the Wee Small Hours (24/96 FLAC, Capitol/Tidal), recorded live in the studio, has the sound of a large number of musicians all playing together in the same space at the same time, communicating with each other as Nelson Riddle conducts his orchestral arrangements with the beauty and precision of Bill Evans playing the piano. I tried the MQA version, even though the Unison doesn’t play nicely with MQA. The decoding therefore defaults to 24/96 playback. However, given the fact this is a 63-year-old mono recording, I felt I was getting most of what was on the master tape. The harp in “Last Night When We Were Young” stood out with its percussive glissandos, while Sinatra’s mature, burnished voice sang the ultimate Ava Gardner blues. And when I added ARC, the soundstage solidified, instruments and voices sounded more realistic, and the frequency response noticeably flattened out. Other than the minor problems mentioned above, I enjoyed my time with the MartinLogan Unison. As far as I can tell, it offers the least expensive way to get a clear- and clean-sounding preamplifier and a fine-sounding DAC married to one of the top room-correction softwares available. Today, if you want MQA and room correction in the same device, you’ll have to get it from a media player such as Roon, JRiver, Amarra, or Audirvana -- but none of those offers ARC. If I had to choose between MQA and competent room correction, I believe the latter would result in the better sound. My rating of such softwares is, in descending order, ARC, Dirac Live, Audiolense, and Audyssey. I know there are other room-correction options, but those are the ones I have enough experience of to be able to recommend. There’s another I’d love to try, but Al Griffin beat me to it: the Trinnov Amethyst, highly recommended in professional circles. It costs $10,000. But a MartinLogan Unison with ARC for $399.95? A no-brainer.